I have a 98 4door and want to run 31 10.5s on stock rim. Does anyone know if I can run them on stock hight? Last edited by blazen_red_4x4; 05-29-2017 at 09:57 PM. 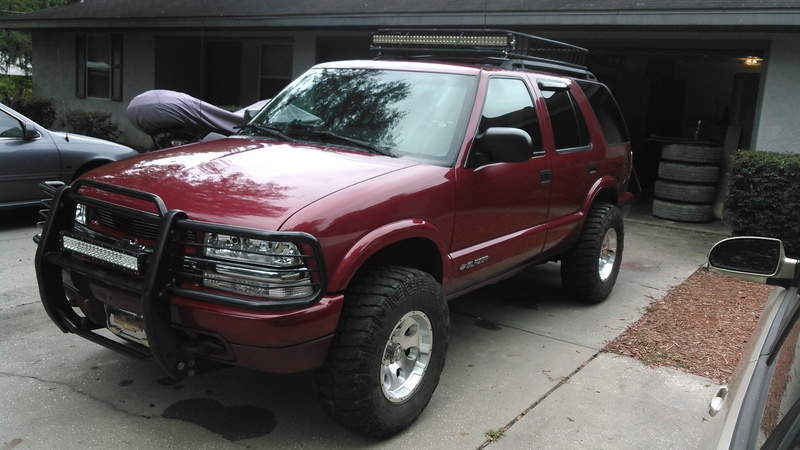 Everyone's experience varies, but most people need a minimum of 2" of lift to run 31's on a 4 door Blazer. Your best bet in my opinion is to do a 2" body-lift to start, and see where you sit after that. I suggest that simply because it maintains the stock suspension geometry, while getting more room to clear taller tires. After that if you still need more room there are a few different suspension lift options for you to explore. Tons of info on the forum. Good luck!